There’s a good reason why Reddit refers to itself as ‘the front-page of the internet.’ Ever since its inception in 2005, Reddit has grown in leaps and bounds. In the early years, the platform was synonymous with trolls out looking for blood. Today, the Reddit platform has evolved to become much more multi-faceted. The site has gained such a massive following that top brands all over the world are looking to grow their business by engaging with redditors. Of course, the big pull lies in the numbers. At present, the statistics show that Reddit has at least 542 million visitors every month with an average visit duration of 10 minutes and 38 seconds. The total number of unique users on the site currently lies at about 234 million users. Indeed, such astronomical numbers are too big for any corporation worth their salt to ignore. Given the aforementioned statistics, Reddit comfortably occupies a number 4 ranking as the most visited website in the U.S. and number 6 in the world. These computational results are obtained from research company, Alexa. While these numbers are super impressive, other social media sites boast bigger figures. So, what gives Reddit the cutting edge over such companies? Simple, the optics. User interaction on Reddit varies greatly with every other social media sites. Tech juggernauts like Facebook, Twitter and YouTube can get away with plain advertisements specifically targeted to specific niches. With Reddit ads, the advertising mantra takes on a whole new different approach. Redditors like to pride themselves as some sort of internet police. How exactly? To market on the platform, advertisers need to appeal and communicate intrinsically on a human level of thought. Discussions of the platforms are driven purely by organic conversations. It’s almost akin to having a tête-à-tête with your best buddy. Only that this time, your best friend happens to be a corporation looking to gain some sales traction. In addition, the conversation happens through a sort of group discussion. Advertisers who sell their services to the masses through Reddit ads are well aware of the optics involved. Thus, a common practice nowadays is for brands to do AMAs (an acronym for ‘ask me anything’). There, they set a timeline, usually about 2 hours where redditors can pose questions to the company in question and receive responses in real time. Importantly, the company conducting the AMA needs to respond to all the trivial and epic-sized questions raised. That way, a conversation about a company’s ethics and business practices can be publicly lauded and shamed. Of course, given the fact that the key purpose of marketing is to gain traction, it’s always down to the advertiser to find a way to relate to the masses subtly whilst selling their services. Thanks to the power of the internet (and the bill of rights); free speech is rife on the platform. redditors have successfully carved a niche for themselves as being against all forms of corporate encroachment on the site they adore. Rather than simply talk shop, redditors prefer to dissect the frivolous before lauding a company’s business acumen. Given this bizarre trade agreement, companies have found themselves dazed on how to ably cope. As with any trade, scandals are bound to happen at one point or another, how to deal with them is a whole other issue. 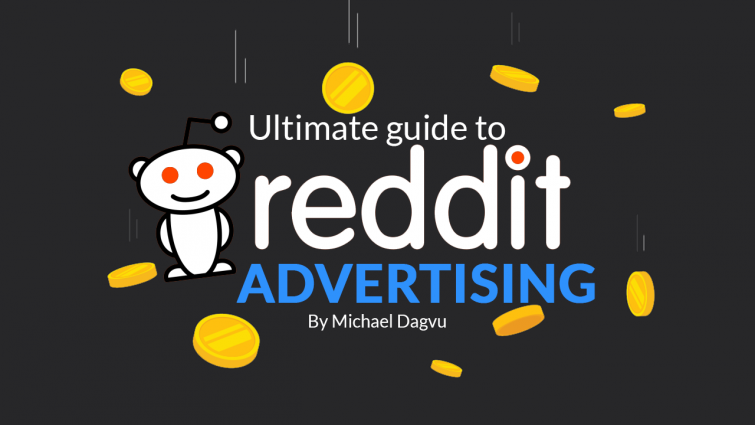 Advertisers who book themselves a prime piece of advertising on the Reddit platform thus strive to ensure that their marketing and sales departments are in tune with the nuances of common redditors. To comprehend Reddit’s reach, one has to look no further than the content posted on most viral and trending news site. Editors at sites like Mashable, BuzzFeed and Slate obviously monitor the interaction of redditors in order to generate their leading stores. In doing so, they ensure that they are able to get cheap traffic to their platforms which leads to increased advertising revenues. Rather than copy and paste, advertisers looking to win over the masses can do so without having the big bucks. Thanks to the years of innovation Reddit ads have undergone, they have created a provision for people to market their services without all the hustle and bustle. Indeed, redditors are a hard bunch to win over in one clean sweep, but, once done right, one can reap massive rewards. The executives at Reddit have improved on the platform by introducing things like video advertising and a page dedicated for advertising purposes. Their efforts have borne fruit in recent times since multinationals like Coca-Cola, Procter & Gamble, and eBay have all climbed aboard. With Reddit ads, companies can get to have authentic conversations with customers. The trait that sets Reddit apart from the competition lies the community of redditors who can up-vote on comments they like. In doing so, the comments are ranked higher on the feed and this helps promote authentic dialogs occurring. Reddit offers a unique advertising model. Unlike the case with most other social media platforms, Reddit ads are not limited to categories like interests and regions. 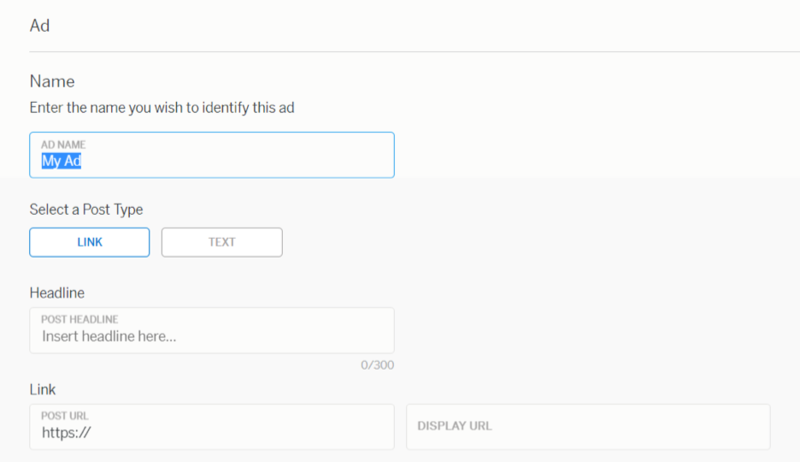 The platform offers advertisers the unique ability to directly target audiences in specific niches using subreddits. Each subreddit is aimed at certain people with particular interests. There are more than 9,000 subreddits on the platform where some of the most influential audiences are found. It is important to note that Reddit ads are classed into two categories, promoted posts and display ads. Here, we have link ads and text ads that offer the same visual appeal as user-submitted posts on Reddit. These Reddit ads have a light blue background and a ‘promoted’ tag. Link ads provide an external link to the advertiser’s product landing page or website. They tend to look similar to headlines but do not need a ton of copywriting. Their creation is usually quick and easy. On the other hand, text ads are internal links to another Reddit page, which contains longer descriptions of offers, external links or links to discussion forums that go in detail about a product. These are traditional online display ads that have a semblance to banner or rich media ads. To get one, advertisers need to contact Reddit’s sales team as their advertising program manages them. The program has a couple of incentives like personalized analytics reports and a dedicated account manager. Prices for these kinds of Reddit ads can be quite expensive, starting at $30,000. As such, these kind of ads are usually for the big-budget agencies and major media buyers. Reddit ads offer advertisers a chance to see case studies of their display ad campaigns for companies like Toyota and Duracell. Before setting up your Reddit ad, you need to have a couple of pre-requisites: a Reddit account with a verified email address, a thumbnail image (maximum of 400*400), mobile card view image, and some ad copy (headline). 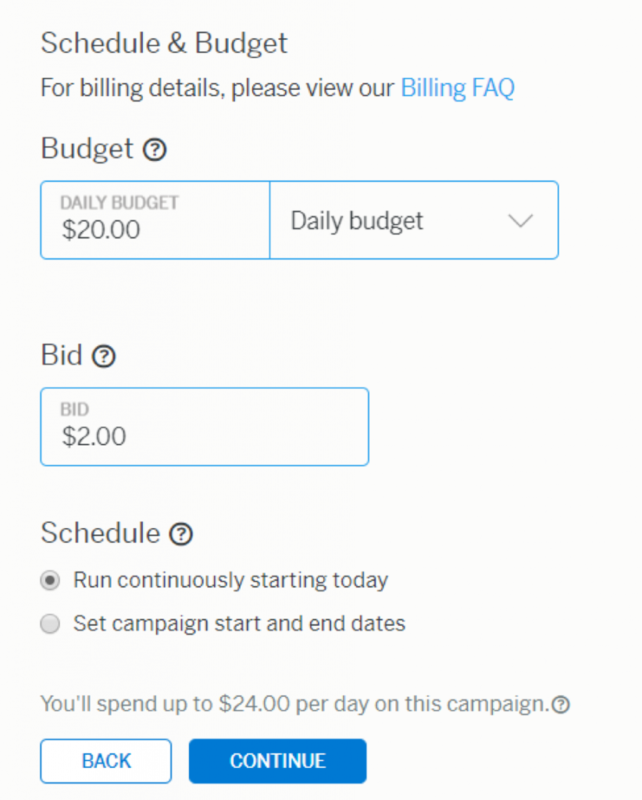 To set up Reddit ads, you need to sign in to Reddit’s campaign management tool. Once there, you’ll be prompted to input your username and password. The next step is to set up a campaign. It is important to note that the name will only show up on your dashboard and not to other users. The subsequent phase involves creating an ad persona in order to effectively target your audience. A couple of tenets to consider when targeting users are: the subreddit, locations, day and time, user interests, and the platform (whether mobile web or desktop based). 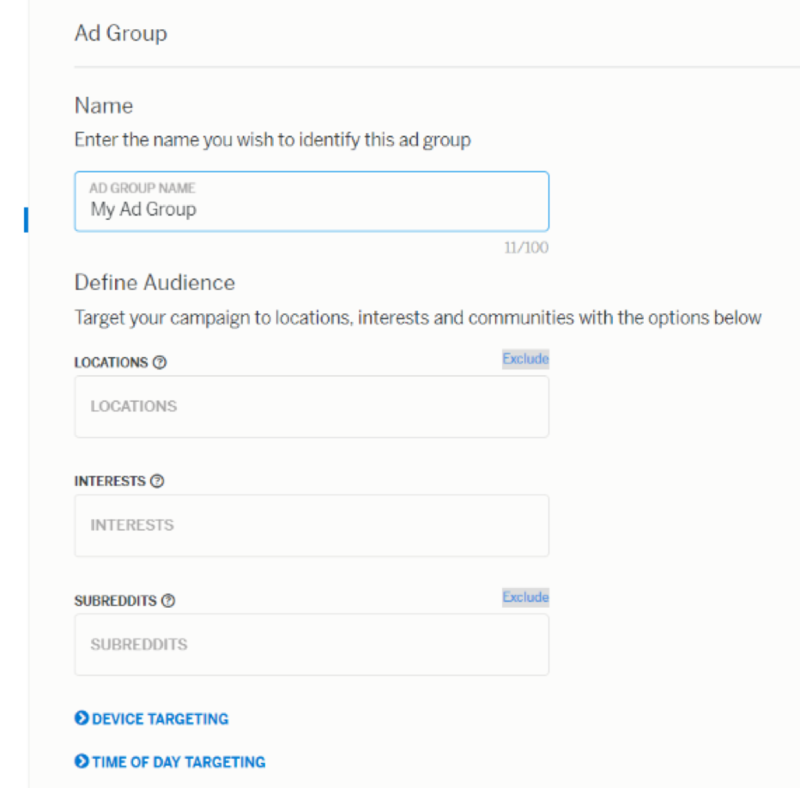 By default, the interest targeting and location features are automatically expanded. 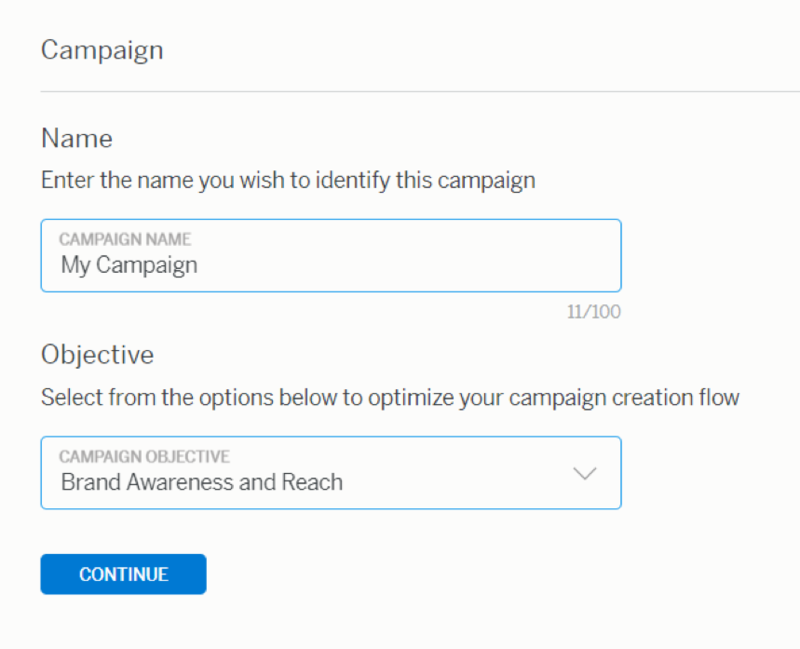 Clicking on the ‘>’ button facilitates the expansion of other targeting features in a drop style manner. In addition, advertisers can opt to negatively target specific keywords and subreddits. Doing so ensures that ads do not feature next to specified words and subreddits. 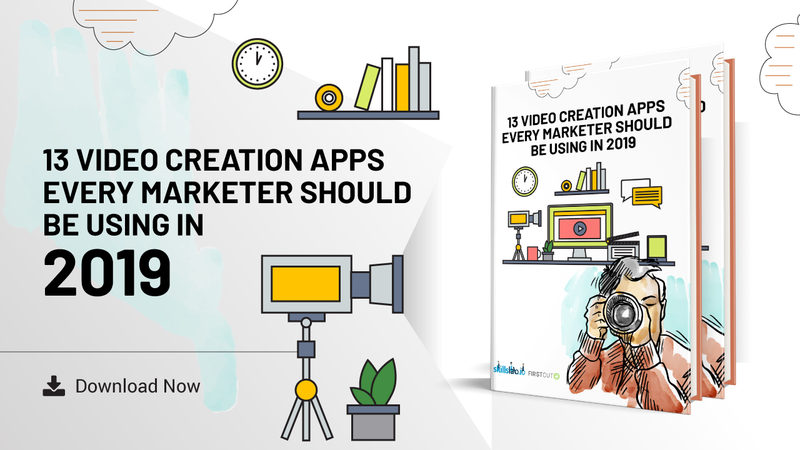 These features can be used in conjunction with others simultaneously in order to reach a broader audience. The next step is determining the ad schedule and budget. The bid amount should reflect the amount one is willing to part with in order to generate hits. To the right-hand side, one can ably visualize a summary of expected impressions possible based on targeting. However, it is important to note that Reddit operates as an auction-based platform. This means that impressions are not usually guaranteed. Many variables determine the number of impressions generated; things like the bid, targeting and Reddit traffic effectively affect the numbers. The next phase involves an input of the headline (usually a maximum of 100 characters). After the headline is done and dusted, you need to upload images that match up with what you’re looking for. Once the ad is ready, the images need to be uploaded for the final result. For users browsing via their mobile devices, the mobile card image is displayed to them. Desktop users see the thumbnail image uploaded. It is important to note that the maximum allowable image size is 3MB. The next phase is submitting the entries made. The last step is to submit billing information on the dashboard. Typically, Reddit takes about 24 hours to review the ad and make it live.